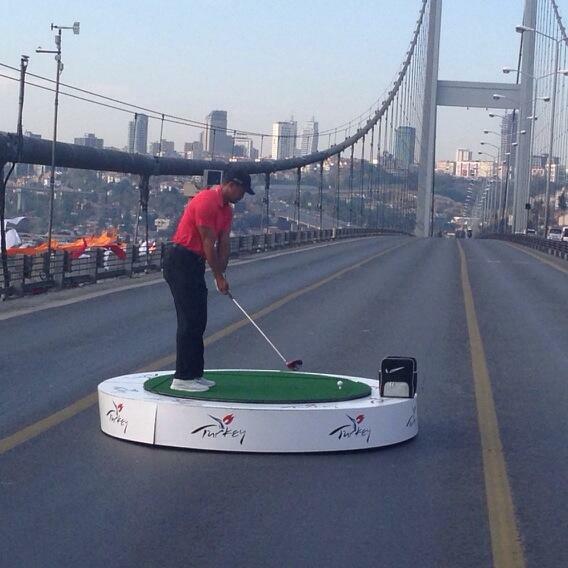 Tiger Woods says he is looking forward to playing in the upcoming Turkish Airlines Open in Istanbul after a fairly successful 2013. The American is set to play a stroke-play event for the first time in six weeks in Istanbul in what is a rare appearance on the European Tour for the 14-time Major winner. Utah Jazz fans haven’t had much to be excited about in recent weeks. The Jazz have fallen out of the picture for the NBA Playoffs and have lost eight of their last ten games. Along with that, the Jazz know that there is a pretty good chance that Al Jefferson and Paul Millsap, arguably their two best players, will be leaving Utah this off-season when they enter free agency. Despite how bleak things may seem, the Jazz do have reason for hope—Enes Kanter. Mayor Kelly D. Kautz is excited to announce the latest enhancement to Snellville's Briscoe Park with the donation and installation of new outdoor fitness equipment on the walking trail. 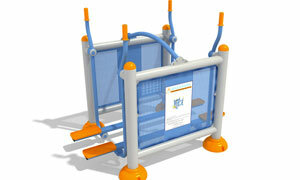 The purchase and installation of the equipment was made possible by a generous 100% donation from Aksa Park/Meyko Outdoor Fitness Equipment, a Turkish based company, with no costs to the citizens of Snellville. The addition of this new equipment will provide a unique fitness venue for the entire community, young and old and will thereby contribute to improving the health and quality of life for the citizens of Snellville. 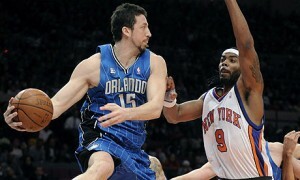 Orlando Magic forward Hedo Turkoglu has been suspended 20 games for violating terms of the league's anti-drug program, the National Basketball Association (NBA) said on Wednesday. Turkoglu, who has averaged 2.9 points and 2.4 rebounds in 11 games this season for Orlando, tested positive for anabolic steroid methenolone, the NBA said in a statement. One of Istanbul's hot tourist spots Eminonu. Turkey has boosted it tourism revenues to $23.4 billion in 2012, recording a slight 1.8 percent increase compared to the same period last year, Turkish Statistical Institution data suggests.Turkey has become a favorite destination as the number of tourists visiting the country, particularly from Arab regions, dramatically increased in recent years. Thirteen countries will host the 2020 European Championship, UEFA decided Friday, with each host providing a single stadium for the 24-team tournament. In an effort to encourage smaller countries to join the project, the UEFA executive committee pledged to choose two stadiums holding as few as 30,000 spectators. Other stadiums must have a 50,000 capacity, which at least 20 of UEFA?s 53 member nations already have. U.S. tennis player Serena Williams said that she did not know she had "so many fans in Istanbul". Williams' comments came after she defeated German rival Angelique Kerber by winning two sets, 6-4 and 6-1 at the TEB-BNP Paribas WTA Championships in Istanbul. 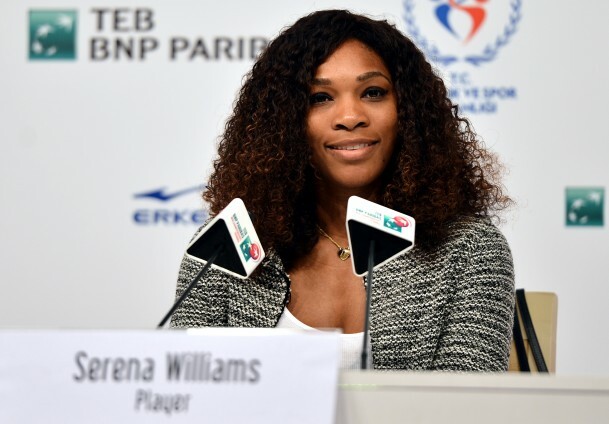 Speaking at a press conference, Williams said that she had never come to Istanbul before. The Miami Heat should consider signing Mehmet Okur. Okur is a 6’11” veteran center who averages 13.5 points per game and seven rebounds per game, and shoots 37.5 percent from the three point line for his career. Okur is a big man that can add more versatility to the Heat as a nearly seven footer who can shoot the three. Okur has played in an All-Star game and was a role player on the Detroit Pistons team during their 2004 NBA championship run starting his career there and being with the Pistons from the 2002-2003 season to the 2004-2005 season. Reality has set in for the Chicago Bulls, with ESPNChicago reporting that the team will not be able to retain center Omer Asik (whom the Rockets signed to an offer sheet on Friday). Asik joins Jeremy Lin, foreign import Donatas Motiejunas and three first-round draft picks in the cadre of new, young players who will grace the Rockets' roster next year. 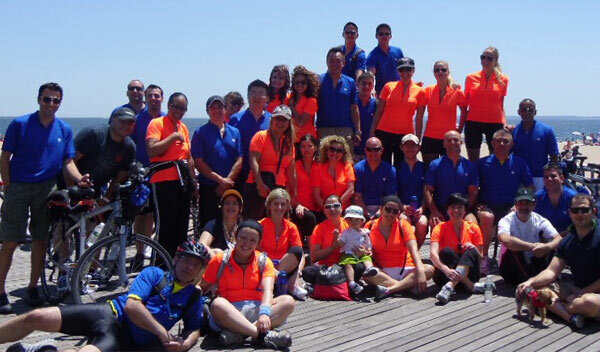 Saturday June 16th MTS Logistics hosted their annual Bike tour in New York. The tour started in Battery Park in lower Manhattan, then over the Brooklyn Bridge all the way to Brighton Beach via Prospect Park. At Brighton Beach there was time for a swim in the ocean to cool down, before brunch at Tatiana Restaurant, where the group enjoyed a delicious but light meal, as the there was still 13 miles of biking to go. About 40 people participated the tour. Tokyo, Madrid and Istanbul have made the short list of cities bidding to host the 2020 Summer Olympics, the IOC said Wednesday. Two applicant cities -- Azerbaijan's Baku and Qatar's Doha -- failed to make the list. The three candidate cities must now prepare a detailed description of their plans to host the Olympics and also face a visit from the IOC Evaluation Commission. By Matt Schwab - San Jose Earthquakes newcomer Sercan Guvenisik has impressed coach Frank Yallop with his sharpness around the goal and infectious personality. "Terrific. He's a really lovely fellow," Yallop said. Guvenisik became the first Turkish national to play in an MLS match last week, entering in the 80th minute of a 1-0 loss to the Houston Dynamo at AT&T Park. As the Quakes embark on their first road trip of the season, beginning Saturday at Toronto FC, the cagey German league veteran is among a deep cast vying for playing time. 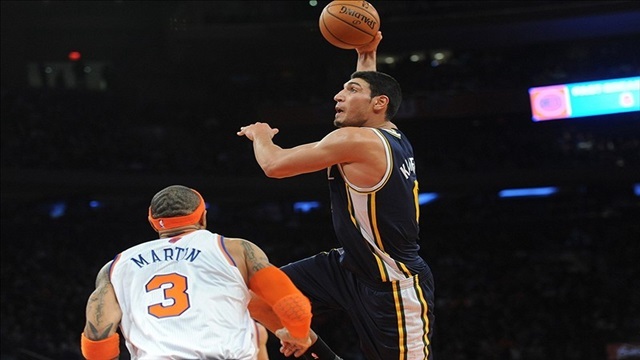 Turkish center Enes Kanter had a career-high 17 points in addition to eight rebounds as the Utah Jazz beat the Los Angeles Lakers 103-99 on March 18. Replacing Al Jefferson, who missed the game for personal reasons, rookie Kanter shot 6-for-7 from the floor and grabbed eight rebounds in 23 minutes as the Jazz handed the Lakers just their second home loss since Christmas on March 18. Paul Millsap scored 24 points and Alec Burks, another rookie, had 13 of his 17 points in the fourth quarter for the Jazz, who snapped the Lakers’ five-game winning streak while winning three straight games of their own for the first time in two months. NBA Trade Speculation: Is Now the Time for the Chicago Bulls to Trade Omer Asik? 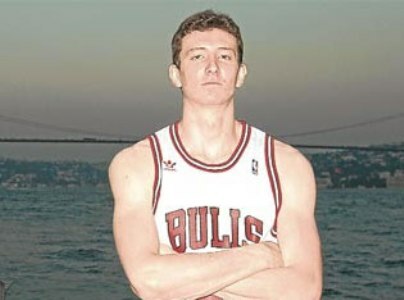 Omer Asik has quickly become a fan favorite with the Chicago Bulls. His emphatic slams are joyous, especially when Comcast announcer Stacey King belts out, "Asik and Destroy!" 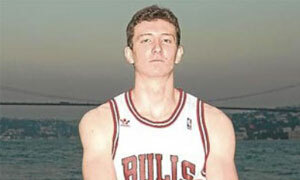 The 25-year-old Asik's value has clearly been seen in his two-year stint with the Bulls. He's shown the ability to rebound at quite a rate. He's currently racking up 5.3 rebounds per game in only 14.8 minutes an outing.